Editor’s note: This post was written by Alumni Memorial Scholar Mac Baler ’15. Academic opportunities afforded through Colgate’s Alumni Memorial Scholars program come with faculty support, personal encouragement, financial resources, and a network of AMS peers who become like family. The feeling that you are supported fully in whatever research endeavor you have brewing is something quite special. The confidence I built as an AMS scholar gave me the push I needed to achieve my post-graduation goal of working as a software engineer in Japan. 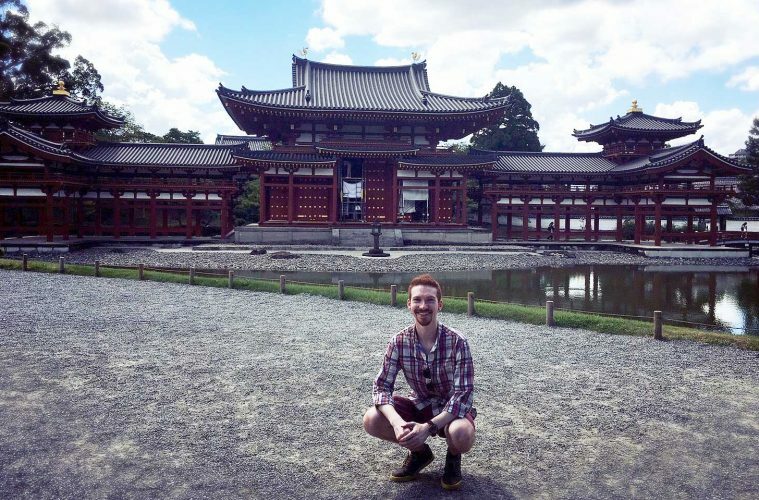 As an AMS Scholar double-majoring in Japanese and computer science, I combined my intellectual and personal passions in 2014–2015 to conduct a research project exploring dialectic and regional variances in Japan’s pervasive youth language (i.e. slang). My survey aimed to see not only the current state of youth language, compared to that of years past, but also whether responses would vary by birthplace. A handful of questions mimicked those asked in older cultural questionnaires, hoping to see a difference in results over time, while others were simply unique questions of my own. As for results, some depicted strong trends in youth language regardless of region, e.g. 91.6 percent of participants used shortened, abbreviated adjectival forms. Results from other questions, however, showed predictably regional trends: e.g. the most popular emphasis word, meccha (“ridiculously”), chosen by 42.3 percent of participants, was predominantly used by those in the oft-trend-setting Kansai region of Japan (36 out of the 41 who chose meccha lived in Kansai); a result that fondly reminded me of my time spent abroad there. During my time studying abroad and conducting AMS research in Japan, I had the pleasure of attending a dinner hosted by the Colgate Alumni Club of Japan. These alumni encouraged me and, later, advised me on my job search. A mere two and a half months after graduation, I flew back to Japan. During the next three years, I held two different jobs in two vastly different cities: I spent my first year in the rural city of Komatsu, Ishikawa Prefecture, teaching high school English through the JET Program. Then, I found a software engineering job at Weblio in the city of Kyoto. It was a bit of a coincidence. I was intimately familiar with Weblio — known for their online dictionary lookup service — because I had used their website while translating a socio-linguistic book on Japanese youth language for my senior thesis. They valued not only my familiarity with their service, but also the independent linguistic research I did via my AMS grant. As a Weblio engineer, creating services to aid Japanese as they learned English, I felt I had walked a complete path. Last year, having fulfilled a personal and professional goal, I decided that it was time to head back to the states. I’m currently in the midst of preparing to move to Boston, where I hope to continue my career in software engineering — though I’d be lying if I said I didn’t miss using Japanese in my daily life.